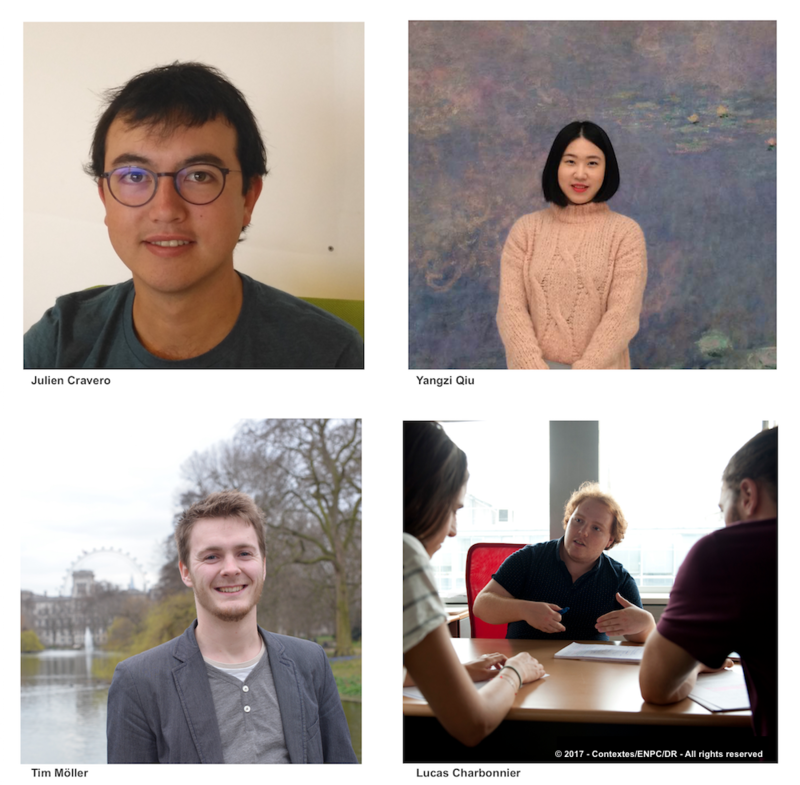 Yangzi Qiu, Tim Möller, Lucas Charbonnier and Julien Cravero joined the HM&Co team few weeks ago. With different backgrounds – environmental engineering, architecture, mathematics and physics – each one of them will bring with their research work new insights on how to improve storm water management in the city. Yangzi studies low impact development and nature based solutions supported by hydrological modelling. Tim is doing research on wind behaviour on different time and space scales, in order to develop short time simulations and forecasts. Lucas’ research focuses on the environmental performance of Noisy-Champs train station. Julien works in collaboration with the Navier laboratory on vegetated gridshells and urban heat wave reduction.